"Quick.. he needs more makeup!" If the thunderstorms crashing around the east of the country have gone by 6:30 pm this evening, then I've a marriage proposal to fly along the July Course at Newmarket this evening and some lucky girl is going to be very surprised indeed. That's unless there's a horse with the same name running. That would be a coincidence! It's all been carefully choreographed with the help of the jockey club to make sure it's in a ten minute break between races as I don't want to scare any of the very expensive horses or impact their 'form' before the next race. The Dreamland CPO vote was passed without a hitch at last night's Cabinet meeting of Thanet District Council. So now, we have the opportunity to start building the new Heritage Amusement Park, while the Council waits for the inevitable appeal from the now former owners. Very soon perhaps, visitors will be treated to the sight of an open and thriving amusement park with ample parking available. For many of us, that sounds like a regeneration vision which is almost too good to be true but it's taken a very long time to reach this pivotal point in the history of the Dreamland site and at last, there's room for optimism with strong input from Wayne Hemingway. I suppose I had better go and find my aircraft. More over the weekend if time allows. Thanks for this. 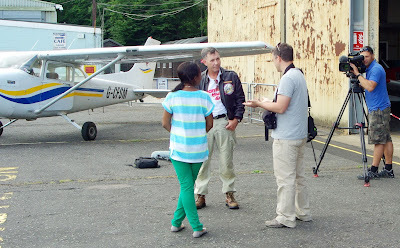 I much prefer your aviation tales to endless politics ... the tales at least are believable and come from a professional! A genuine enquiry. Have you any idea how long the cycle of appeals against appeals against appeals can go on? In the case of Dreamland and Arlington Tesco it appears that Messrs Hunter and Oldfield can [and have] delayed things ad nauseam! Just askin'! It may appear very much like 'how long is a piece of string' but in this case we expect any appeals process to work through as quickly as the law allows, given the urgency of the works and any time limited grants required to put Dreamland back on its feet again! 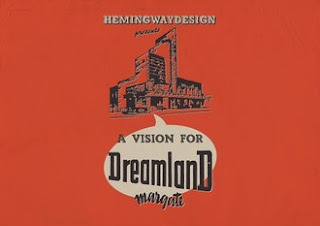 Yes,hoping against the odds that dreamland will be back to it's former glory soon! !